Discussion in 'Classic Manual Cameras' started by alastair_geddes, Aug 19, 2018. 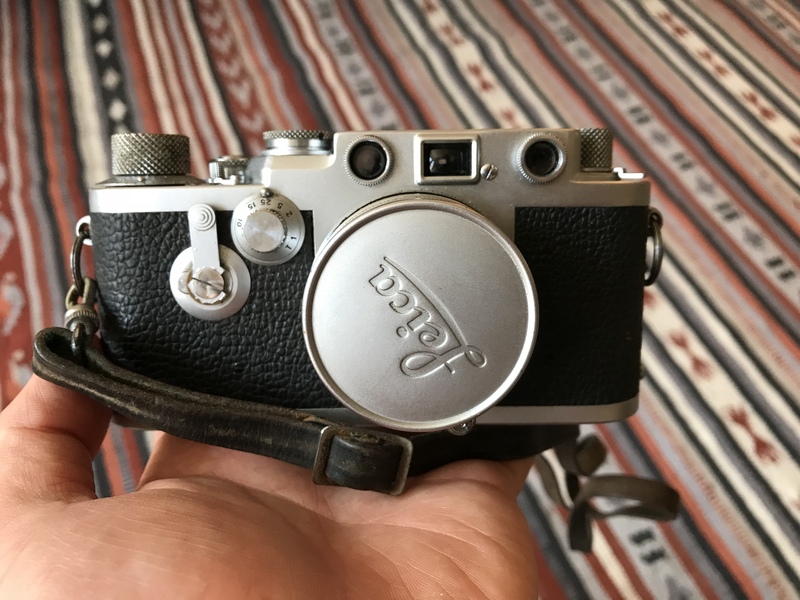 Hi - I have been passed a Leica from a family member. Would anyone be able to help me identify the model, and the specifics of the two lenses? I’ve tried investigating online, but got nowhere! Typically the name of the lens appears in the front ring along with the focal length! If still lost please post picture showing view from front-on. Ah, thanks! That’s lenses sorted then. 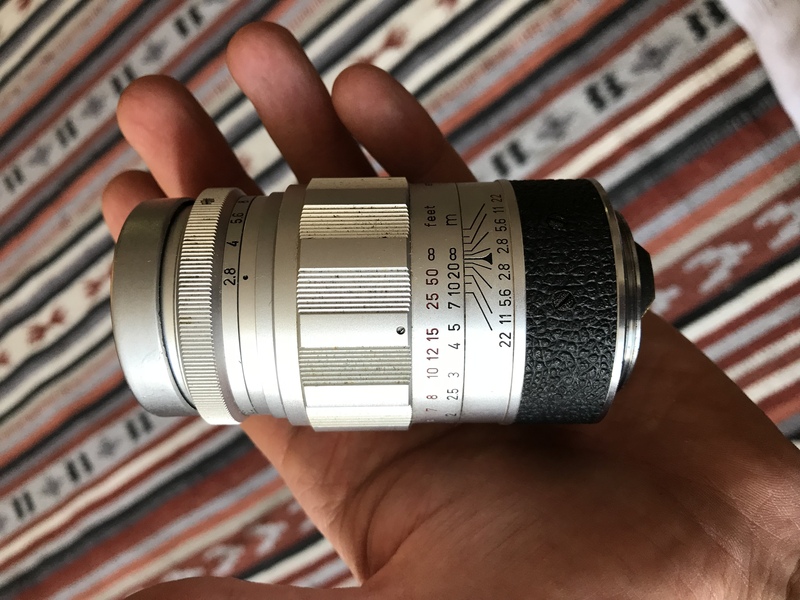 Any idea on the camera body itself? 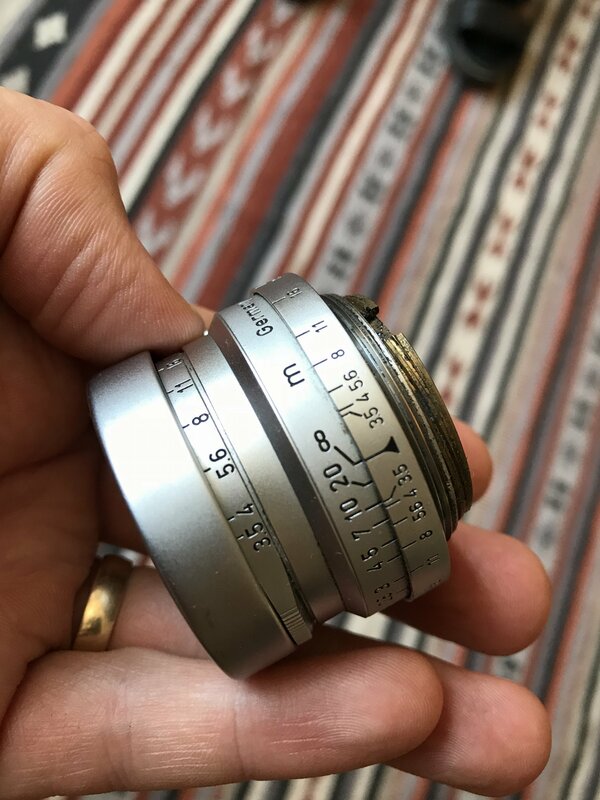 According to this list: Leica Screw Mount Serial #'s Sorted by Number it's a 1955 IIIf with Self Timer. That it has DBP and GMBH engraved (instead of DRP and either GmbH or nothing) appears consistent with that production date. Agree with Leica IIIf. I have one. Looking at the top view you can just make out it has a PC flash socket on the back, near the top. Only the IIIf had that plus the original Barnack styling. Good looking Leica. I hope it works as well as it looks. 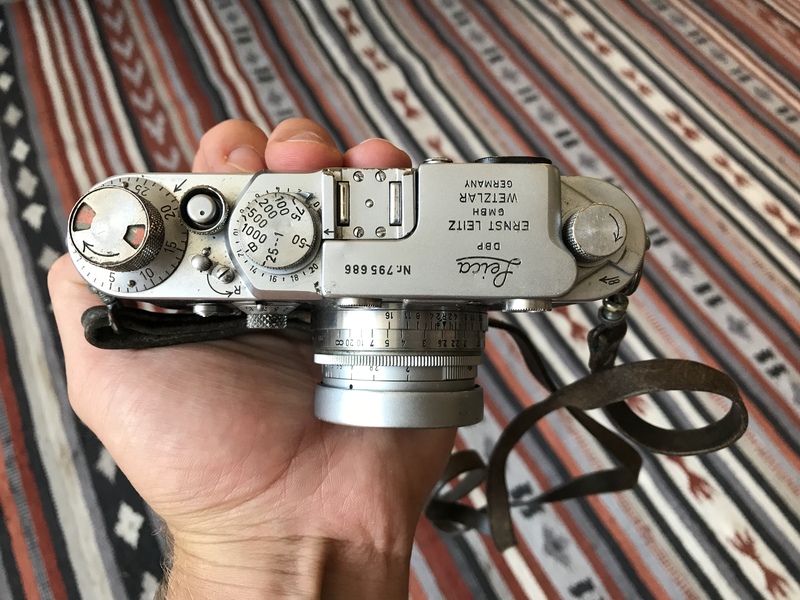 The general rule is that if you have to ask if it's a real Leica, it isn't. I have a IIIf too (red dial). There were a ton made, but ironically I’m told there were more IIIg’s made, except they were marked for collectors items so they tended to get higher prices and get gobbled up. 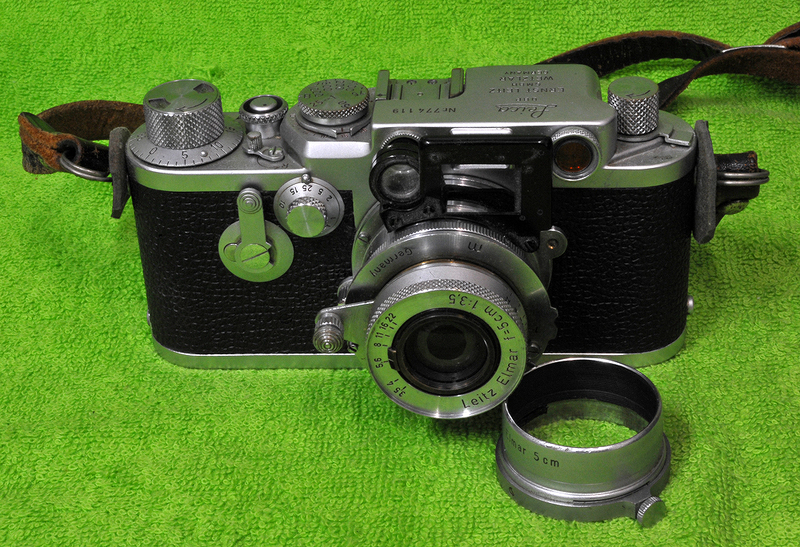 The IIIg is supposed to be a pretty good user camera, but the IIIf is still saddled with that pair of squinty windows and for the price of a IIIg you can probably get an M3 or M2. And those Ms are probably rugged enough to be the last manmade object on Earth after Humans go extinct!